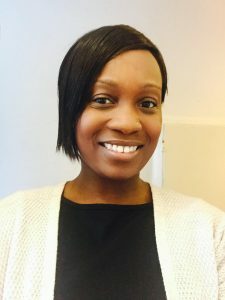 I qualified as a Speech and Language Therapist in 2004, having studied at University College London (UCL) and immediately chose to specialise in working with adults. I have worked for the NHS for over 12 years and currently manage a speech and language therapy team at a busy London hospital part-time. I have also worked in research in the past and am currently coming towards completing my PhD. I provide speech and language therapy to adults who stammer, have a lisp, have speech/language difficulties as a result of learning difficulties or speech/language/swallowing difficulties as a result of a neurological condition such as Parkinson's Disease or Stroke. I also provide voice therapy and vocal coaching to professional voice users such as teachers/actors/singers and others who may have conditions of the ear/nose or throat (ENT). I am also able to offer individually tailored training in public speaking, communication skills and pronunciation. I use an individualised, goal centered approach to suit the needs of each client whilst using evidence based, specialist speech therapy techniques such as Voicecraft, Accent Method, Lee Silverman Voice Therapy (LSVT), facial oral tract therapy (FOTT), Better Conversations and many more.